Airline passenger in an airport lounge waiting for flight aircraft. 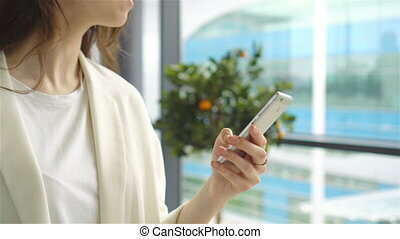 caucasian woman with smartphone in the waiting room. Silhouette of passenger in an airport lounge waiting for flight aircraft. Passenger, woman in the airport, waiting for her flight. Checking the calls in her smartphone and remembring the trip to a beautiful island. A young lady is sitting on her luggage. 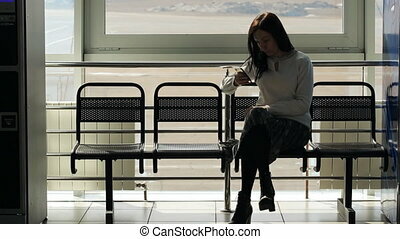 Passenger, woman sitting in the airport, waiting for her flight using her smartphone. Young business woman sitting with the travel suitcase in a waiting hall of departure lounge at the airport. 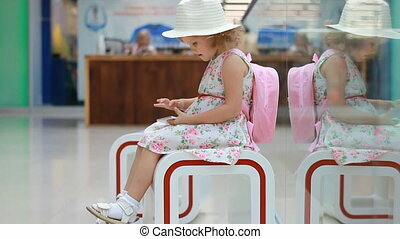 Child girl tourist in an airport terminal sitting in the waiting room playing with a mobile phone as they wait for their flight. Baby uses a game application on a smartphone. 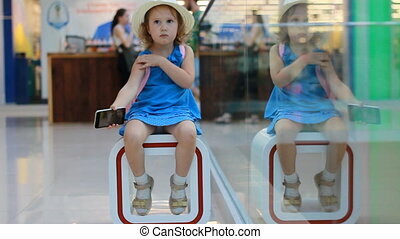 Child tourist in an airport terminal sitting in the waiting room playing with a mobile phone as they wait for their flight. Little girl uses a game application on a smartphone. 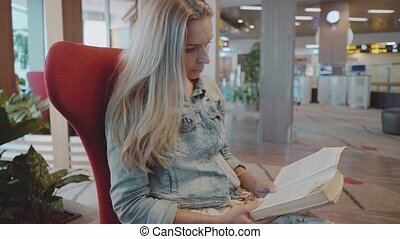 The woman is sitting in airport waiting hall on black trellis seat waiting for someone looking something in the cell phone trying to connect or to send the message or to call. Female is wearing long-sleeved jumper of white color with necklace and light thin fabric midi skirt with ornamental pattern on it and thick black tights and leather boots with high hills and shoelace. 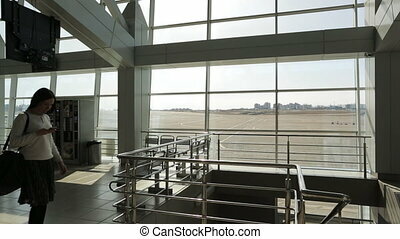 Background is about portrait window of white plastic and metallic handrails. 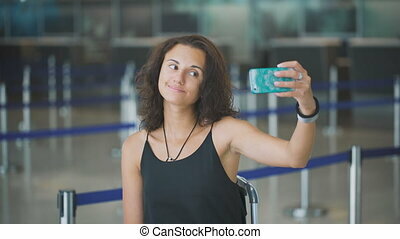 Passenger in waiting room at airport looking into phone goes out. Concentrated woman in white sweater skirt black big bag comes down the stairs indoors. 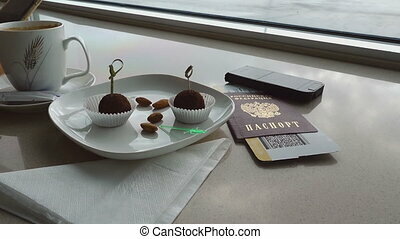 Nice female checks email on telephone before travelling, waiting for flight by plane. Brunette young traveler with luggage waits for voyage. In departure hall benches screen coffee machines. Outside window scene empty runway, city, houses. Empty chairs in big light room, modern terminal, travel and transportation concepts. Airline passenger in an airport lounge waiting for flight aircraft.